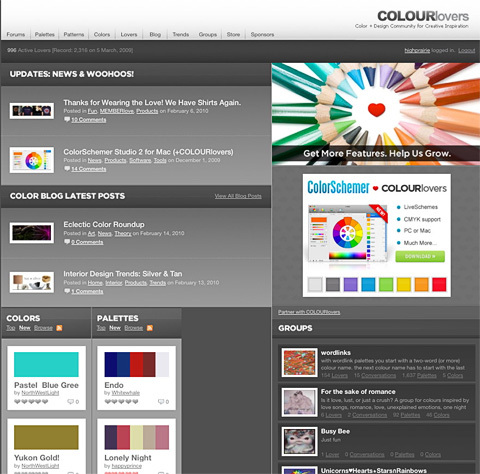 In honor of St. Valentine, I am going to suggest a website for people who also love color, aptly named ColorLovers.com. If you like Adobe’s Kuler, ColorLovers is an even more joyful romp through the color wheel. 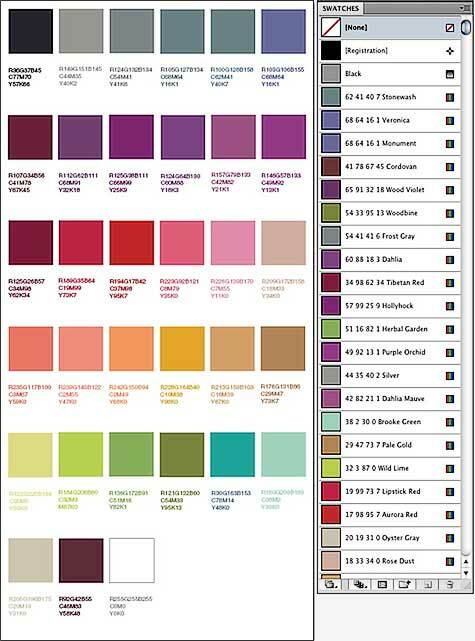 There’s a section on color trends;as gleaned from current magazines and websites as well as posts on the ColorLovers blog describing the colors currently popular in everything from interior design to automobiles. It’s a handy resource for that, alone. I love color! Whether it’s exploring the physics of color, the psychology of color, ethnic color preferences, I have a whole section of my bookshelf devoted to the subject. With ColorLovers.com I have found a resource that is handier to use. So far, I’ve managed to spend countless hours trading colors and patterns, reading the blogs and contributing to the discussions. I keep ColorLovers.com open in my browser in the background while working on a project so I can download and experiment with different color combinations. If you love color, try out ColorLovers.com and spread the love.